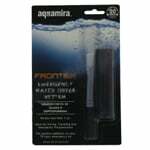 Trendy and Healthful Water Gift ideas for under 25 Dollars. 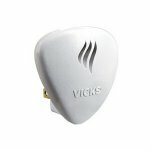 The Vicks VSP-19 is the correct replacement for the following vaporizers:Vicks V5100NS, Vicks V3900, Vicks V3500N, Vicks V4450, Vicks V4500f, Vicks V4600, and Vicks V3700 Humidifiers; Vicks Waterless Vaporizers and Plug-in humidifiers. 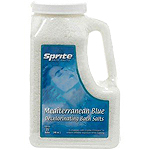 Just a capful of Sprite Mediterranean Blue Dechlorinating Bath Salts is all it takes to neutralize the chlorine in your bath water, leaving you with softer skin and hair. 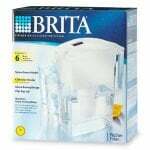 The Brita Pitcher "Space Saver" Water Filtration System comes with 1 pitcher and 1 filter to provide you with great-tasting, clean water for a fraction of the cost of bottled water. 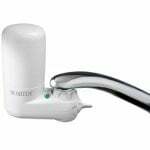 The Space Saver Model is perfect for singles or college students. The Sawyer SP910 Family First Aid Kit is applicable in situations where up to 1-6 People may require medical attention during the course of 14 day excursions. 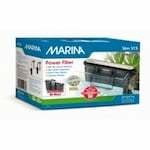 The Marina A286 is the correct aquarium filtration system for: Aquariums up to 15 gallons.